Listen to this one in headphones! 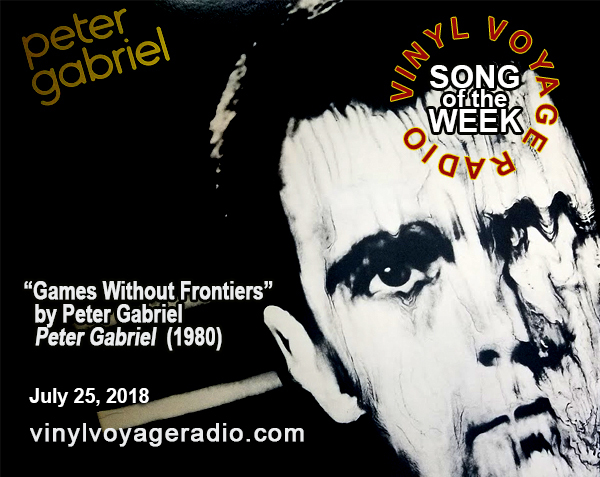 The Song of the Week premieres every Wednesday at 10am, Central,. It repeats at 10pm and then throughout the week. 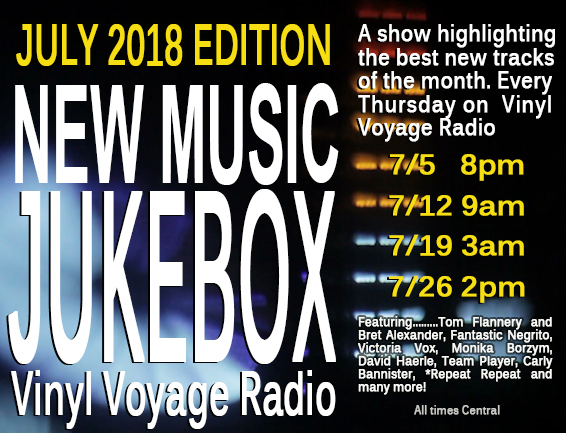 The new episode of New Music Jukebox is just what you need for the hot month of August! New Music Jukebox can be heard at the following times, Central. Click on the link to convert the time to your correct zone! 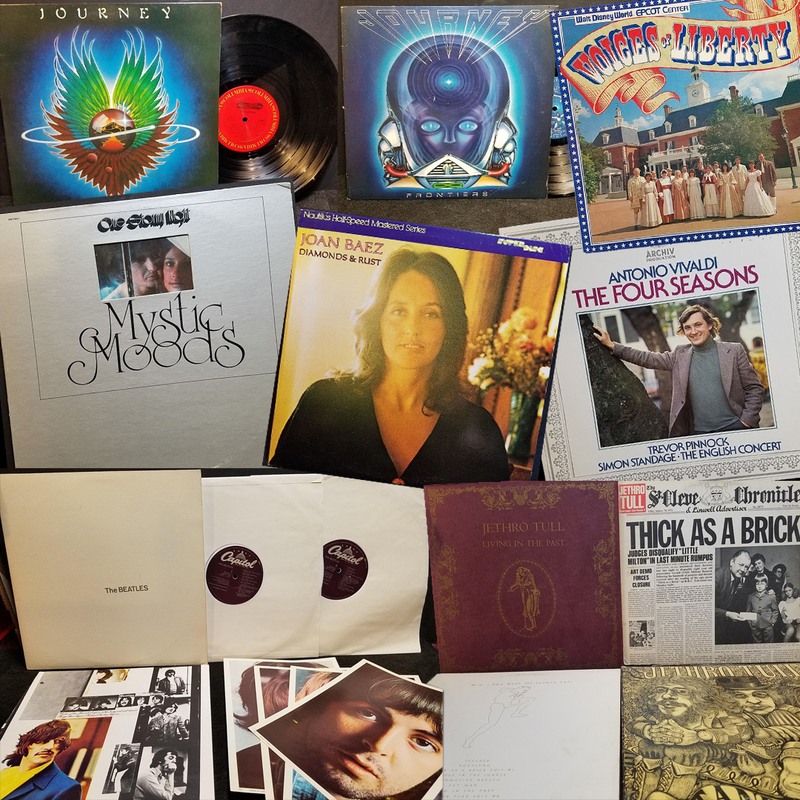 We will have over 120 new tracks streaming this month, this is just a sampling of the best of the best! I've spent the last couple of weeks listening to some new music recently released and hand-selected several albums and artists to highlight in August. Click on the links below to learn more about these artists. 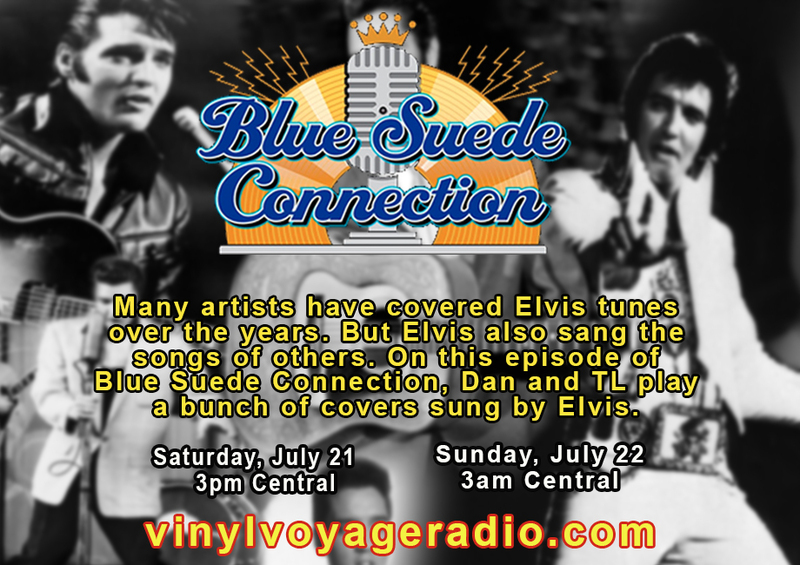 Today, on Blue Suede Connection - Elvis Sings Covers! The Song of the Week premieres on Wednesday, 10am and 10pm, Central. Or, listen to it now, played on original vinyl. We are beginning to clean out our library. 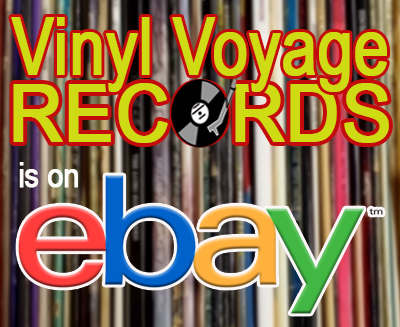 Check out these vinyl albums we are selling this month on Ebay. 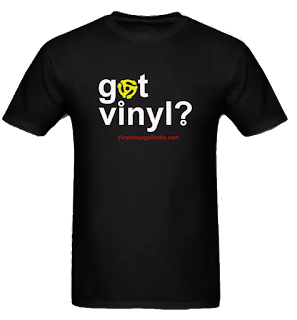 They are being sold under the name vinylvoyagerecords. One of the new albums we are featuring this month is Tales From PA 6, by Tom Flannery and Bret Alexander. Back in 2016, the duo released their first venture together, Dupont Back Porches. That album was spontaneous, quickly produced and recorded. It was raw, emotional and actually felt as if it were recorded on a porch and you were there for the making of it. Tales From PA 6 sounds different. It is more polished. It is more thoughtful. It feels like these two have been playing together for years, actually. Their voices compliment each other and nicely underscore the stories they tell. The title of the album is a reference to a road running through northeastern Pennsylvania, where they both live. The idea was to construct an album telling stories that may have occurred along that road. I have never been on that road, as far as I know. I have only been to the region once. But location does not matter here. We all have roads like this running near our homes, all pointed in the same direction. The stories they tell are universal and articulate; powerful ruminations on life, family, love and death. Working class values run deeply in each track, and the current political climate boils ever so slightly under the surface and actually explodes full-force in the last track, entitled "A Greater Generation." This track was inspired by the students from Parkland, forcing the nation to confront some ugly truths about life in America. "A greater generation waits," they sing. "To kick these bastards out." That song is a powerful, hopeful reminder that where we are now is not necessarily where we will end up. It is a great bookend to an album that begins with the somber, but emotionally charged anthem "I Ain't Gonna Grow Old in this Place Anymore." Tales from PA 6 is an exceptional album of rock-driven acoustic story-telling It is clear that music is a passion that consumes them both. As a result, the songs in Tales from PA 6 are thoughtful, mature and empathetic stories that have a familiarity that rings true no matter what road you are on. You can listen to the whole album below and purchase it here by naming your own price. 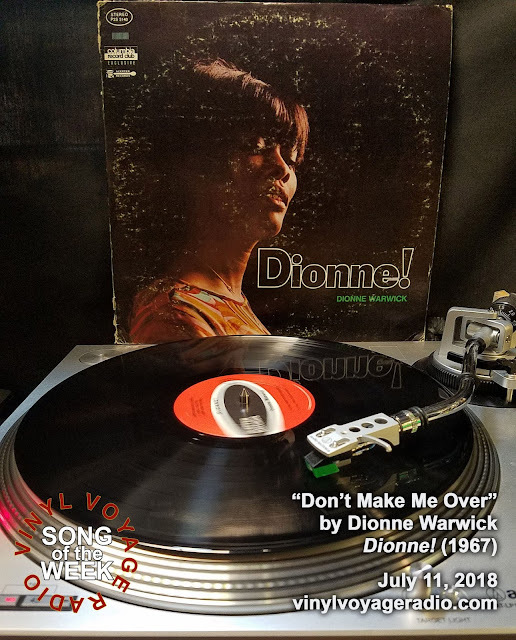 This week we are going back to 1962 for the song that started the career of Dionne Warwick. The song is "Don't Make Me Over," played on an original 1967 copy of her Dionne! album. 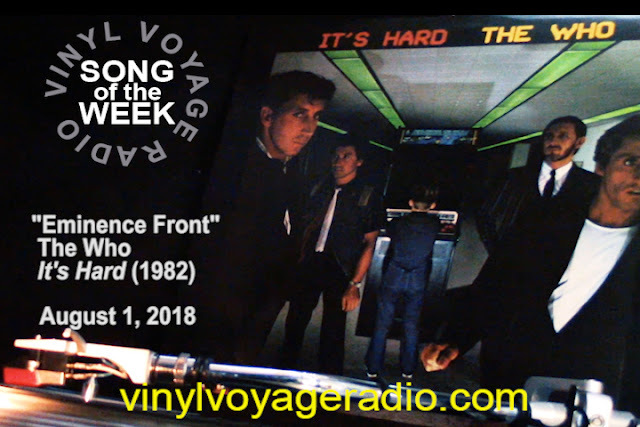 The Song of the Week premieres on Wednesday at 10am (central) and repeats at 10pm. Or, listen to it below played on original 1967 vinyl. 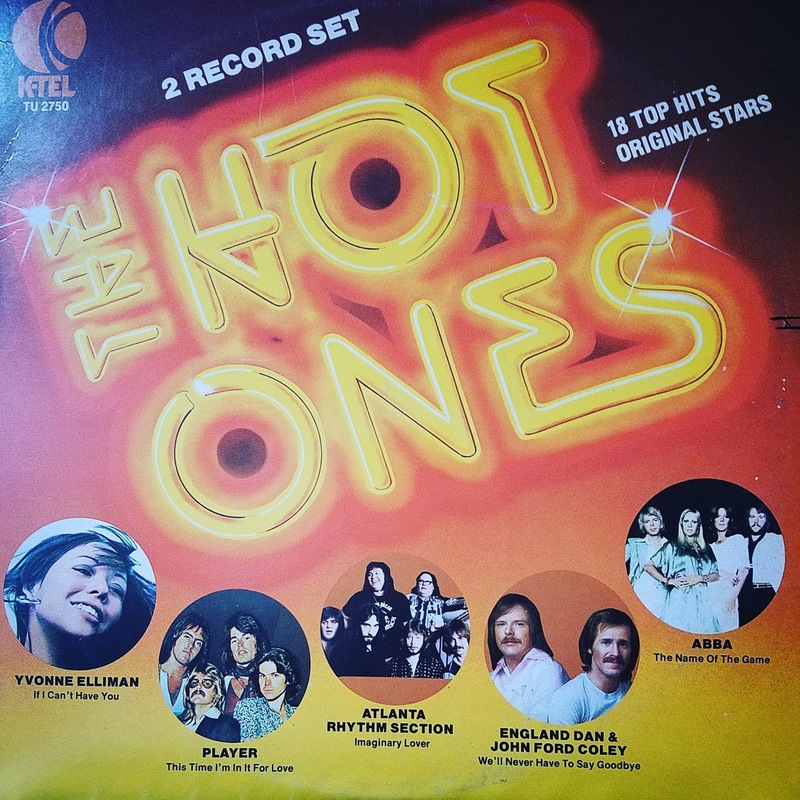 A New Supersized Episode of AiV- The Hot Ones from 1978! This is the first time we are featuring a double album on AiV. Join us as we spin The Hot Ones, a great double K-Tel album from 1978. Premieres on July 7th at 12:30 pm, central. I really hadn't been exposed much to Elvis when I was growing up in the 70s. When he died in 1977, it barely registered. Now, 41 years after his death, I have developed an immense appreciation and respect for Elvis. Still, Elvis was not taken seriously by the entertainment industry in 1977. Which is a shame, because he could still rock. 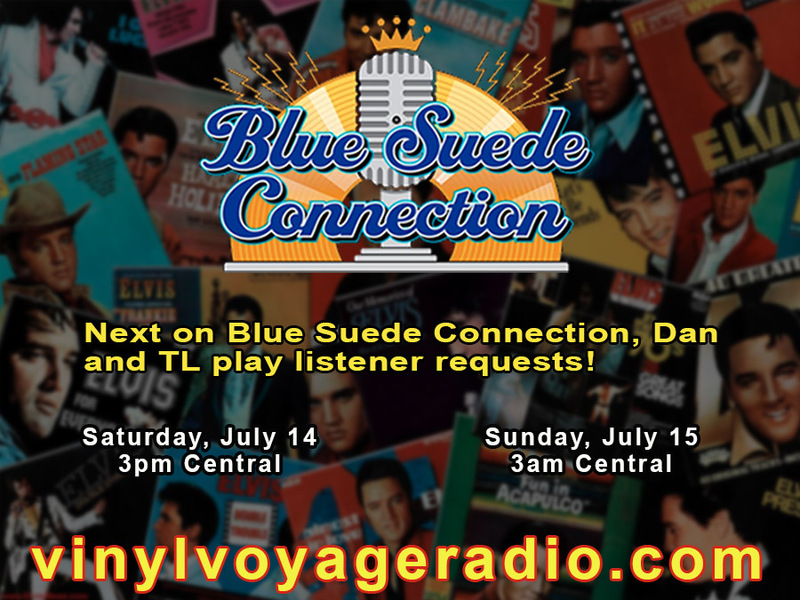 On the next episode of Blue Suede Connection, Dan and TL dispel the myths of Elvis in the final year of his life. 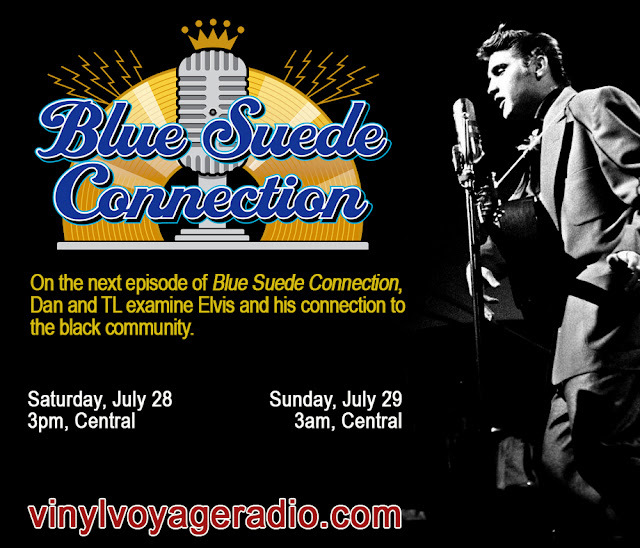 This is a great episode, not to be missed. It's scorching hot this July and we have the music to prove it. 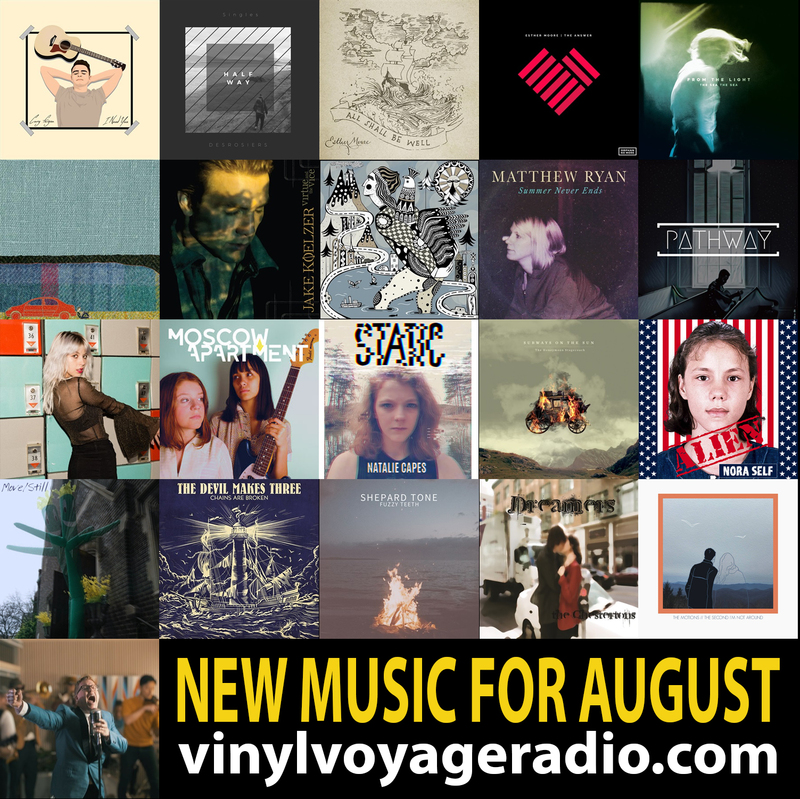 This month, we have over 100 new tracks for you from a variety of different artists. From acoustic to pop, from jazz to alternative, singer-songwriter to good old rock and roll. Click on the artists below to learn more. 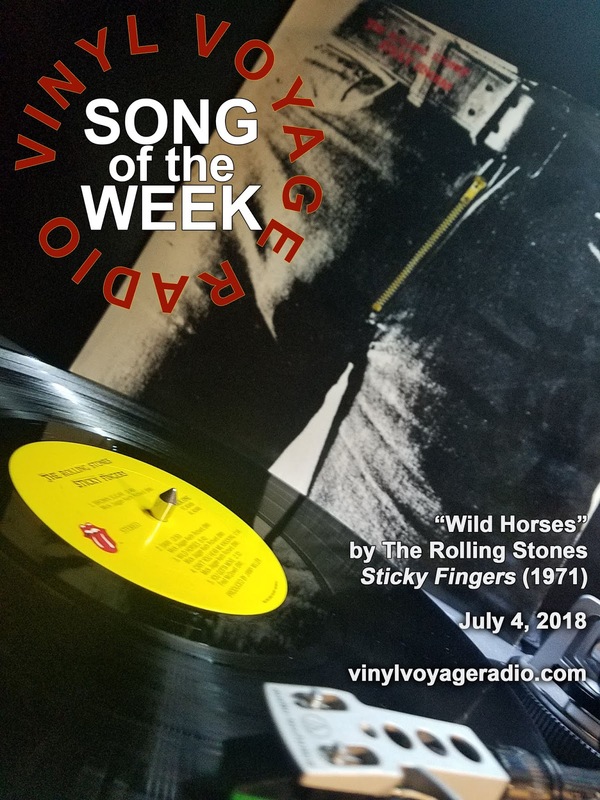 Sticky Fingers is my favorite albums from the Rolling Stones. And this is, perhaps, the greatest rock ballad ever recorded. 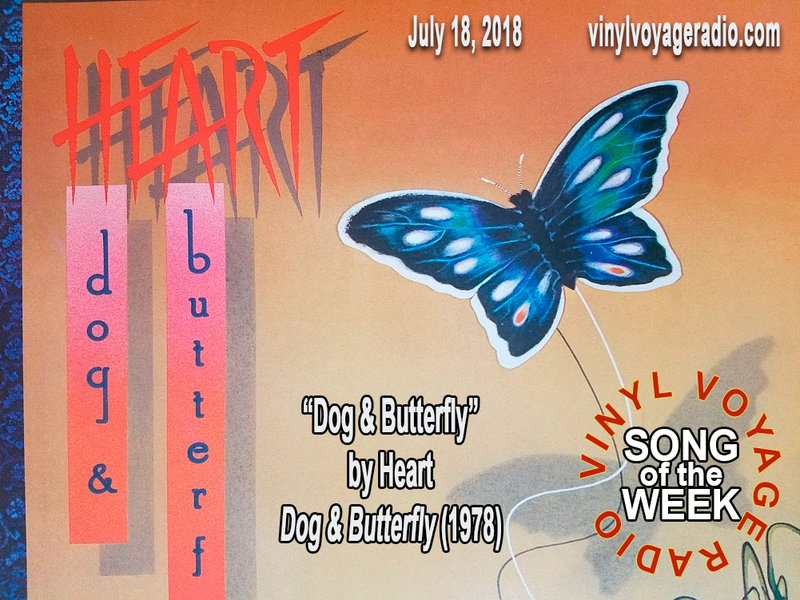 Listen to the Song of the Week on Wednesday at 10am and 10pm, Central. Then, it repeats throughout the week. 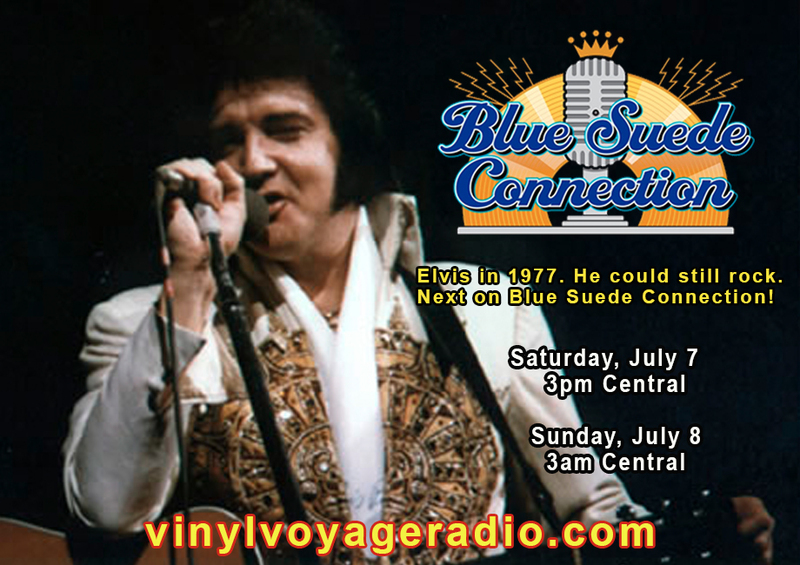 Or, listen now to it being played on original vinyl.